If you suspect you need professional mold removal services for your home or business in Atlanta, Georgia, seek help from a specialist right away. When the right conditions exist for mold to grow, the problem can seem to spread “overnight,” increasing both the health risk the mold poses to the people in your home or business and the risk of damage to your property. A professional mold removal company will be able to promptly identify the extent of the mold problem and propose a solution to eliminate the mold. They may set up containment barriers to stop mold spores from traveling into other areas of your home or business in Atlanta, GA, preventing the problem from spreading. 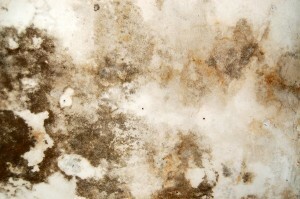 Plus, after a mold removal professional has eliminated the mold – using peroxide cleaners, fungicides, and other treatments – they may have an independent mold inspector test air samples within indoor spaces that people inhabit, so you’ll have objective proof that they’ve made the space safe for people to occupy. If you want to hire a mold removal specialist in Atlanta, GA, who will work quickly to address the mold problem that you face, contact Abatement Solutions, Inc. today. Known for our personalized customer care, we’ll immediately assign you one point of contact at our company – either the owner or a project manager – who will promptly deploy our mold remediation team to your home or business. As a full-service mold removal company, we can handle the project from start to finish. Plus, upon eliminating the mold, we can apply mold-resistant coatings inside your home or business that will spare you from ever having to seek mold removal services again.